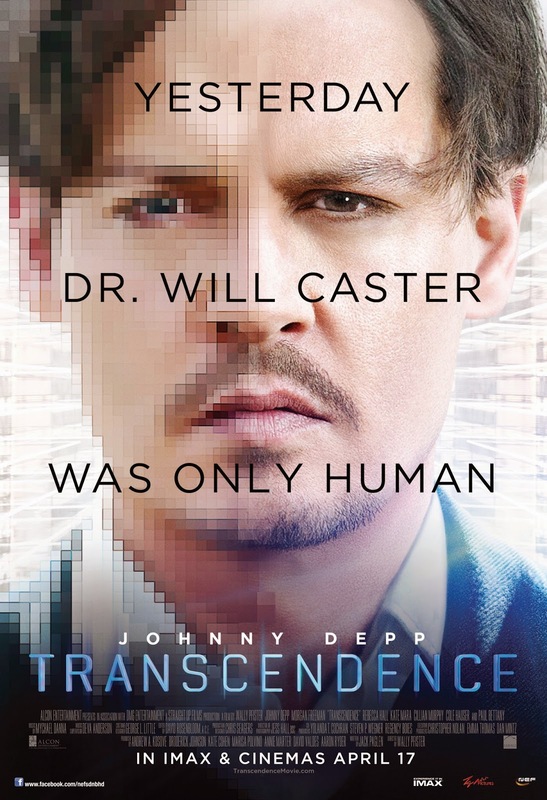 Actually, Transcendence is one of movies that I can't wait to see in 2014. But because it got lukewarm reviews from critics and users alike, I decided to skip it. Out of the blue, last Sunday I met with one of my friend from university and she wants to see a movie. I want to see a movie too because I rarely went to cinema lately. So here I am, writing my impression of Transcendence. This movie actually has so much potential. Intriguing story,descent music, good actors,and great cinematography. The visual is top-notch too. But unfortunately it's half-baked, probably the fault of its script. It is a science fiction movie with an emphasis on ethical problem of humanity vs technology. There's a lot of questions arises here. What is self-awareness? Should we fear the advance on technology? When our bodies die, can we still live on through other means? And so on. But this movie at heart is a romantic story about a wife's struggle with her husband demise and his resurrection. Overall, don't watch this movie if you want a mindless action movie. For you who want a clever science fiction movie with astonish twist, don't have a high hope too. But for me, it's quite alright as an entertainment, even though I don't like the ending. Have you watch it? Comment below and let me know what you think about this movie.